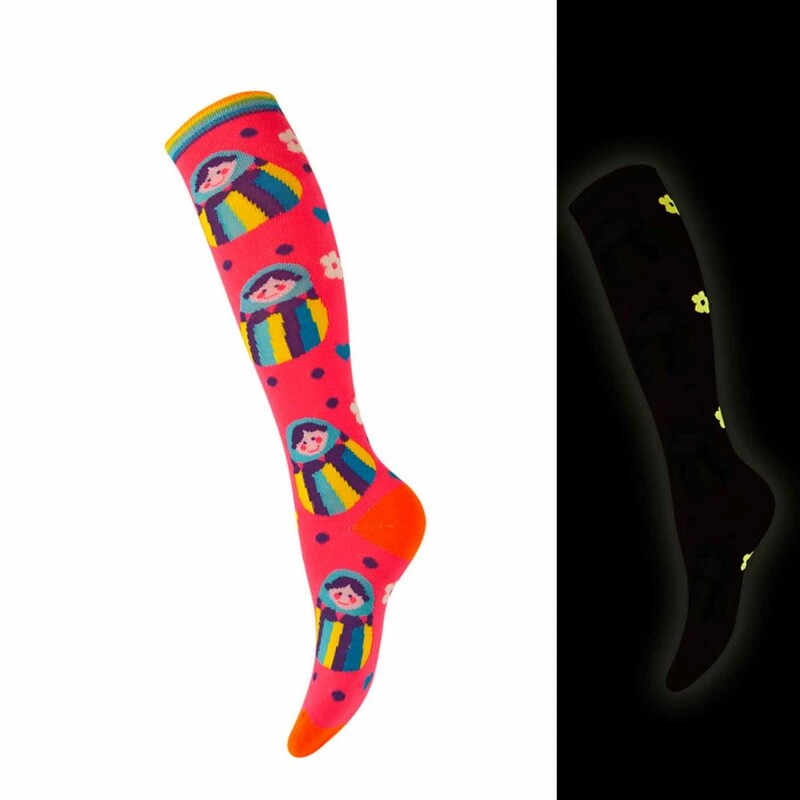 Cute Matryoshka pink socks that glow in the dark. Buy directly online at funslippers.com ! The size you chose is not available at the moment. As soon as the article is available again we will notify you. Just fill in your email address below and confirm the notification. 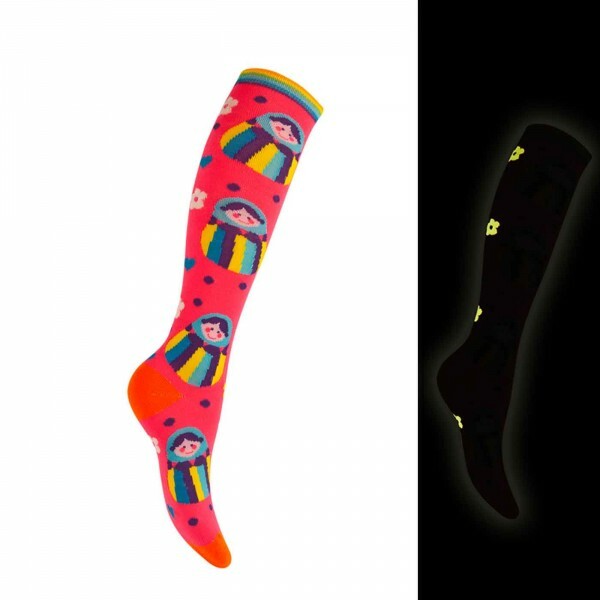 These socks with Matryoshka design are made of 60% acrylic, 30% polyester and 10% elastane. These sweet socks are available in different colours and sizes 35 to 40.